"Oceanic accumulation: geographies of speculation, overproduction, and crisis in the global shipping economy," Environment and Planning A: Economy and Space. Published ahead of print, June 18. https://doi.org/10.1177/0308518X18781084. 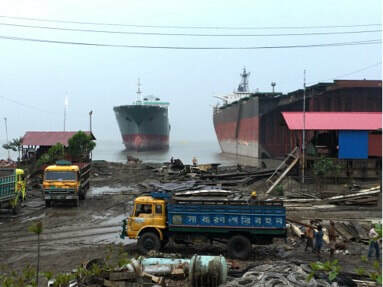 "Zones of Risk: the Spaces and Places of Shipbreaking," FOCUS on Geography, Vol. 58 (4). Jesse Goldstein. New York: 2014. ​ Society and Space. 30(6): 953-955.